Home / Games / Car Merger: Merge & race cars! 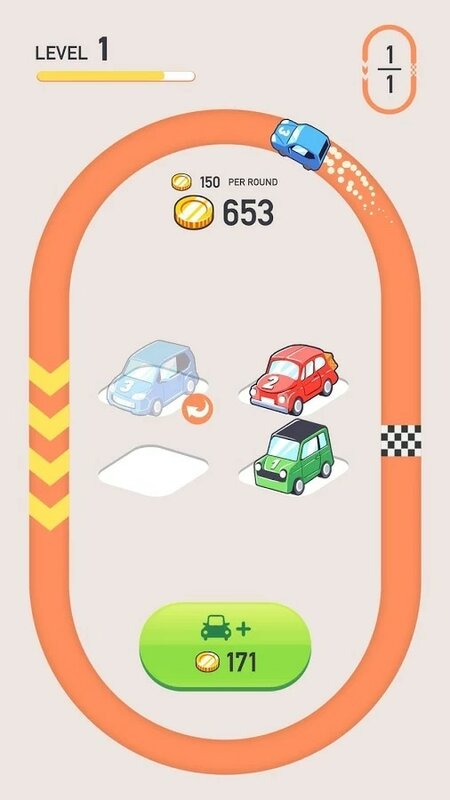 Car Merger is an exciting entertainment game released by Voodoo. 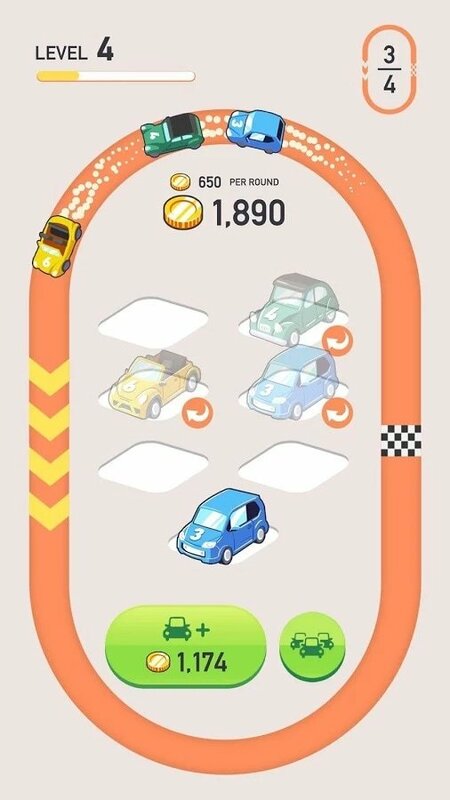 This game simulates the fact that you combine two cars to get a more modern car. At the start of the game, you will transform into a wealthy parking lot boss with a huge parking lot that can hold up to 4 cars. A crazy idea flashed in your eyes. It’s a combination of two cars of the same type that evolves into a more modern car and frees up the parking lot. But this crazy idea came true when Voodoo developed this fun game. When your parking lot is just one car, your task is to get it on the track and run to the finish line. 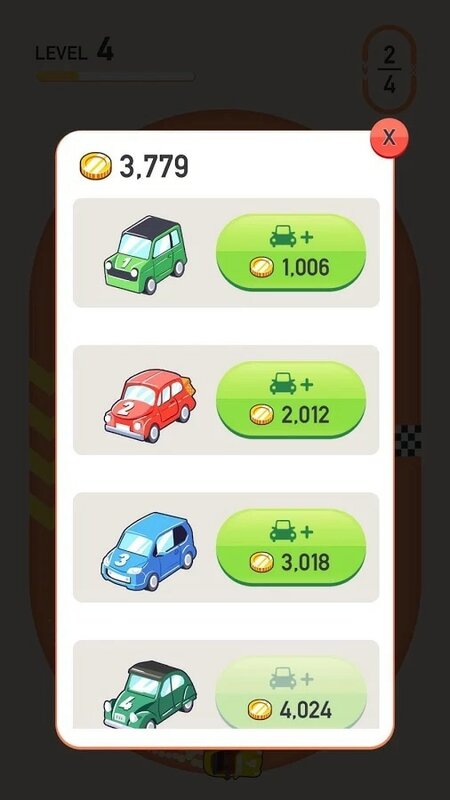 When the car reaches the destination, you will receive a sufficient amount of money to buy new cars for your parking lot. And your task is to continue the work of “evolving” your car until you become a very rich person. Have you ever wondered how much time you can pack a car? According to Voodoo, the number of vehicles in this game is extremely varied, so you can comfortably merger your car without worrying about the “exhausted car” to lump. 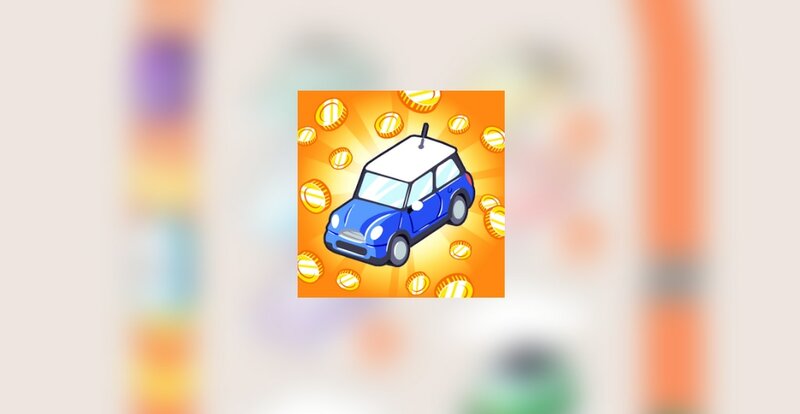 The number of vehicles in the game can be up to several thousand, and to get the most modern car, will probably be a very difficult challenge for you. The funny thing is that when you try out the business in this game, you never lose. By combining two cars, they will become a more modern car. And when you bring them to the racetrack, the rewards will be greater and enough for you to buy new cars for your parking lot. Or, in other words, the car business in Car Merger is never a hole. Many people judge the graphics of this game too bad. However, I myself think that we can not demand a nice graphics for a game too simple. Its purpose is to kill time, and you should not be concerned about its graphics. It’s fun to play! Sound: The game has added sound effects, car sounds and sounds are fun. You will have an interesting start in Car Merger. However, after that, you will notice some limitations. One is that the game has too many ads (Voodoo always places more ads in their games: Baseball Boy, Twisty Road or any of their games), but you can spend $ 2.99 to disable ads. Second is that it does not have a regimen other than the iteration of the car. However, this game is also on the TOP trending of the App Store and Google Play. You can try and maybe you will love it, a time-killing game. Car Merger MOD APK is ready to download! Depending on your needs, you can download Car Merger MOD APK or Car Merger Original APK. Or install from Google Play / App Store if you want.